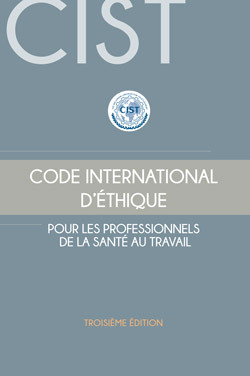 During last Midterm Meeting held in Helsinki on February 10, 2014, ICOH Board members approved the final revision of ICOH Code of Ethics, third edition 2014, now available in both versions English and French for download. 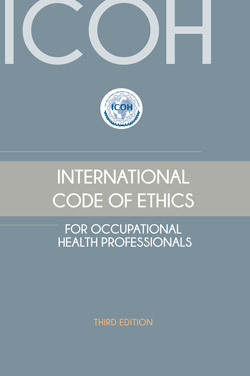 Since its first publishing, ICOH Code of Ethics was widely recognized and used for the elaboration of national codes of ethics and for educational, policy and professional purposes, and it is the most used ethical tool in occupational safety and health. It is intended to guide all those who carry out occupational health activities and to set a reference level on the basis of which their performance can be assessed. Its purpose is also to contribute to the development of a common set of principles for cooperation between all those concerned as well as to promote teamwork and a multidisciplinary approach in occupational health. It provides a framework against which to document and justify departures from accepted practice and places a burden of responsibility on those who do not make their reasons explicit.